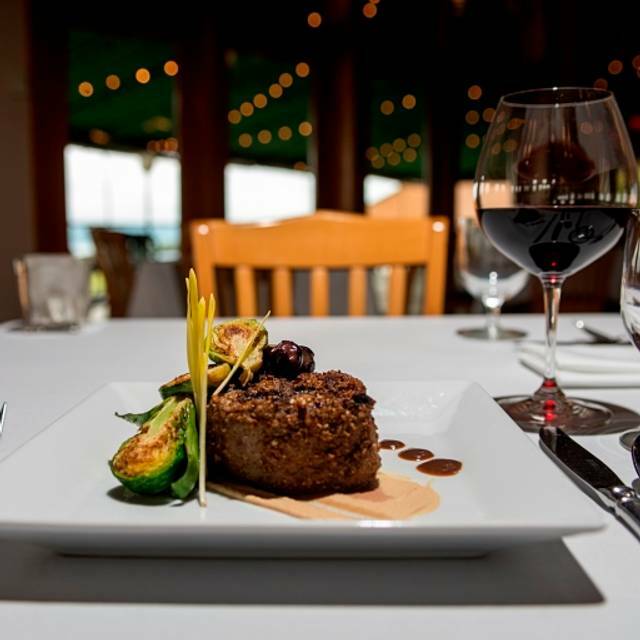 You must make reservations at least 5 minutes in advance of the time at Veraisons at Glenora Wine Cellars. 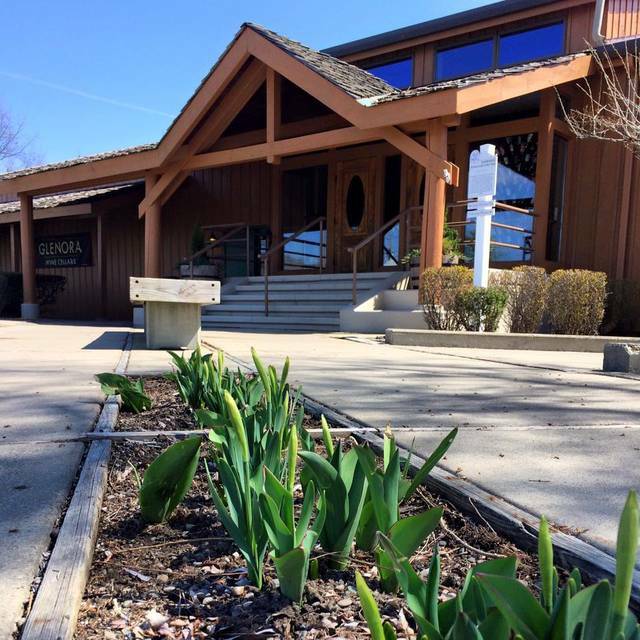 Tucked away among the scenic surroundings of Dundee is Veraisons at Glenora Wine Cellars, a winery resort situated on Seneca Lake in Finger Lakes Wine Country. Veraisons is a from-scratch kitchen; one in which details matter. The menu changes seasonally to ensure freshness, flavor and the availability of ingredients from local farmers. Veraisons offers a charming, intimate atmosphere that is cozy and inviting for an ideal date night. Some menu favorites include the curried buttercup squash soup, local cheese sampler and the pork chop. Small plates are also available for samplings or a quick bite to eat. Veraisons also offers a selection of sweets made in-house so be sure to save room. 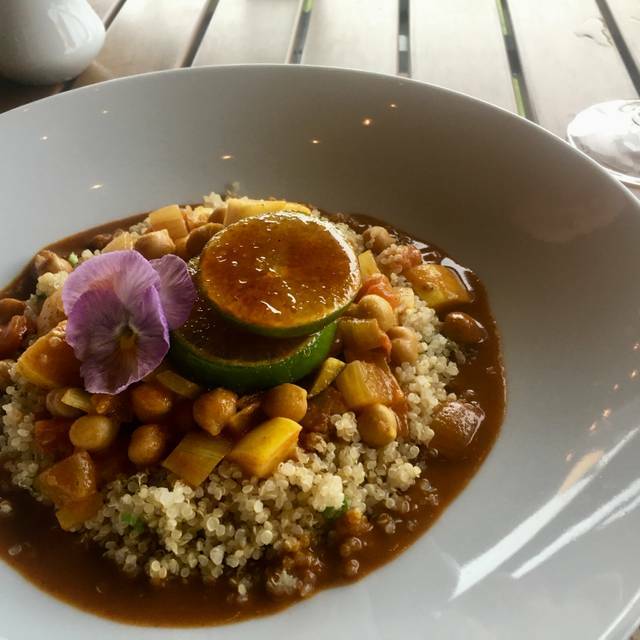 Menus are vegan, vegetarian & gluten free friendly. great view from every room, the staff is very helpful and friendly. We did a tasting at Glenora and we were very impressed at the quality of the wines. Everything was wonderful! Very pleasant experience- would highly recommend! Exceptional service, view and food! Celebrating the end of camping season 2018 with a long weekend in the beautiful Finger Lakes region. Not sure which occasion to recommend; the food was good and interesting but the service was very poor; we had to ask for water twice and even ask a different waiter to bring us 2nd glass of wine. Can't say they were full either. Maybe, inexperience staff. We had a wonderful mini-moon dinner at Veraisons. Felicia, our server, was friendly, kind and attentive! We were greeted by a young woman, and when we kindly asked if we could wait for a window table to open up, she was kind and accommodating, and directed us to the bar area where we only had to wait for 20 minutes or less. We want to come back when it is warm enough to enjoy a meal on the patio! Their menu is creative and the food was so flavorful! We shared a bottle of Glenora's Gewurtztraminer, which paired wonderfully with both of our entrees. We will most definitely be back! This is a spectacular Winery on Seneca Lake. We were able to purchase a bottle up in there Winery and bring it down to the Restaurant. We had a great view of Seneca Lake and our Waitress was very attentive and thorough. The food was exceptional and they even gave us a champagne toast for my husband's birthday that we were celebrating. We look forward to going back again for another occasion. 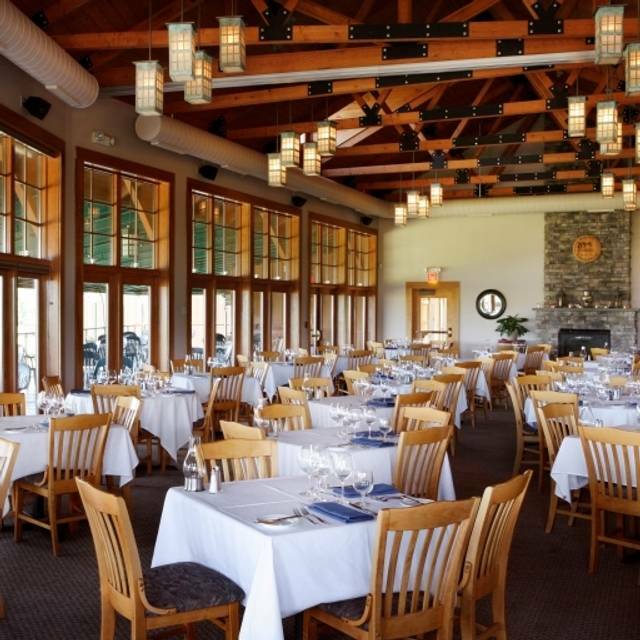 It's a beautiful setting overlooking the lake but when the main restaurant is booked for private events such as weddings, the basement banquet room is used for dinner customers and you don't know that until you get there. I was informed in a text the day of my reservation that we would be seated in the cellar wine room due to a private event in the main restaurant. While at the time that sounded cool eating in a wine cellar, it was far from a wine cellar. It was a basement banquet room with small windows so it ruined the ambience of having a romantic dinner on the lake with beautiful views. Make sure you ask if you will be seated in the main restaurant, otherwise not worth it. Food was good except one appetizer we got was bland. Sooo good. Romantic setting, amazing food, great service. One of my best dinners ever. Omg... I had a fabulous meal at Veraisons. The view was incredible. The service was superb and the food was delicious. The presentation was beautiful too. I highly recommend you visiting Veraisons😋! Very delightful staff who were attentive without being intrusive. Delicious food prepared with excellence. Great service and ambiance. Kobe steak was delivered medium-well when it was ordered medium-rare. This should not happen when you pay $48 for this menu item. Food quality was good overall but not on the level that you would expect for the prices you pay. We got seated in the back of the room, without a view, and by the door. When we asked to be moved to a better table we were met with resistance, but did get moved. Service lacked after that. We DID have a reservation! Went for dinner during our annualized vacation to the FLX. Food was good however we weren’t told there was a private party taking place and we were seated in a small room downstairs that lacked the kind of ambiance we were hoping for. The service staff was very professional and friendly. I’d like to try it when we could sit upstairs with the view but I’d be afraid there was another party and we’d be put downstairs again. Thought the food was excellent. Our table look out to the winery and they had an excellent wine list. They had wines outside of their winery. Service was great. All around great experience. Is not a cheap place to go but for us was worth the money. We ate outside and the view was spectacular! Food and service were good. Great way to end a day of wine tasting in the Finger Lakes. Amazing service and beautiful view!! Very nice restaurant for lunch with a beautiful view (from the veranda). Hannah was our server and she was extremely attentive and professional. The menu was just right for an interesting lunch during our travels. The entrees were delicious, salad was good and tiny crab cake was tasty. On the other hand the bread was stale and hard to chew and the local cheese tray did not have a yummy factor. The view was beautiful but the restaurant really needs to work on its waitstaff. I wanted advice about a wine selection and the server had no idea what to suggest - she went and asked, but the service was below par for a place that you pay that kind of money and its a winery for goodness sakes! I think they should offer tastes and have someone on staff to advise customers who have questions, even if every server can’t be proficient with the wine list. Great place for us to spend our anniversary. The waitress was wonderful, and our food was great. We received a special toast and an added bonus to our dessert plate. Would definitely recommend for dinner. The experience was great but we were surprised with cost. Very pricy for Upstate NY, comparable to Manhattan prices. We went for my bday weekend and stayed at the Inn. Attended daytime wine opening at Glendora where food was also served. It was excellent - roast pork, lovely vegetables and potatoes - along with cheeses and fruit. The food was so good, we excitedly anticipated our dinner for the evening. We had reservations. There were many tables open. We asked to sit by the window and were told by the gentleman seating us that they were set for 4. All tables were set for four we said. He then replied there was a power outage in Watkins Glen so they would be busy. Point is- we were paying guests and made to feel like intruders. Not a pleasant start. Our waitress was excellent. Friendly. Helped me with my gluten allergy needs. We had read excellent reviews regarding the food but we were not taken to the level we expected with taste or conducive to the cost of the dishes. Presentation was nice - although my side salad was too big, very large lettuce leaves and too much dressing. My husbands squash soup was lovely. I had salmon and he had ox tail. Both were very bland. The carrot purée with the salmon had no flavor. We brought home leftover ox tail and I added some sage and thyme. It definitely helped increase the flavor of the stew. Although we are not big dessert eaters, since it was my birthday we ordered a gluten free one. It was delicious. We were concerned the wine tastings we had during the day may have impaired our tastes buds - although I was able to add flavor to the stew. We do plan to return and try again. If we get the same host, I will speak up. His behavior put a negative curve on our experience. We had breakfast there the next morning and he again verbally made a fuss about seating others by the window. Embarrassing and caused undo discomfort. Breakfast, sadly was just as plain tasting. I NEVER use salt at the table but found myself salting my food. I am truly hoping our next visit finds 5 star worthy food. The Inn and Winery are outstanding. It was wonderful. A little chilly in the place but vaulted ceilings will do that. The special touches like the little bite the chef sent out before first course and, the dipping sauces with th rustic bread and the in house made chocolate at the end of the meal. So delicious so appreciated. I had high expectations for this restaurant, however, it fell short. The menu is too small to have two vegetarian dishes. The grilled corn soup tasted like a chili base, not corn soup. The overpriced filet mignon was very small. The swordfish was overcooked. We would not go back. It was really unfortunate that this highly touted and expensive restaurant was such a disappointment. We ordered small plates because the entrees were so complex with ingredients, with some I’ve never heard of. We shared 5 small plates and the cheese board for dessert. The time in between service was exceedingly long, because of the lack of sufficient staffing . The empanada was so highly spiced, as to burn my tongue. Also, many entries on the wine list were not a available. Sometimes when you have such a frustrating experience you can laugh it off, well, I’m not laughing ! We ate here for my birthday. The mussels in curry cream sauce were amazing. The crab cake had an abundance of crab. The entrees were wonderful. My husband's fillet was cooked perfectly and my snapper was wonderful. Presentation was wonderful. We had dessert too. the lemon and the caramel desserts were yummy. There were 3 desserts per dish and they were tasty. It is expensive, but with a bottle of Glenora Brut champagne it was wonderful. As always, when in unfamiliar territory, Open Table gives us great options! Veraisons is a perfect example: Was visiting the Finger Lakes in NY for the first time and wanted a good restaurant with a lake view. This restaurant provided both! And excellent meal and a wonderful menu with several very good choices: We chose to share PEI Mussels in a fabulous curry sauce, and then each of us had small plate "specials": Wonderful crab cakes and lamb chops. Desserts were very good, but not as exceptional as the rest of the meal. Wine pairings at this winery were excellent! And the view of Lake Geneva was stunning and even included a double rainbow! (Not sure the rainbow is included in every meal…) Service friendly, efficient and helpful! We had previously eaten at Veraisons and had a good meal. This time was disappointing. The food was over cooked and under seasoned. On the positive side, they do have a variety of gluten and other allergen free items. The wine list was good with a good selection of local wines. The restaurant itself is lovely and the view over the lake is spectacular. The service was outstanding--if only the food had been as good. Table style. You need to try the duck carnitas small plate! Mimi was our server and we couldn't have had a more delightful person guiding us through our meal! We would love to go back if we're in the area again. Beautiful view of Seneca Lake, lovely outdoor seating, although it was unusually cool and rainy during our meal so we could not take advantage of it. Pretty bar area separate from large dining room. Brightly lit. The staff is friendly and attentive and the view is stunning and what separates it from most places . Definitely would recommend. A very nice vineyard/hotel venue. Very good food and wine. Seated on porch that was very nice ambiance. Server was very nice but service was extremely slow. Waited 15+ minutes for dessert. Glad to see a variety of gf options. Focaccia bread was stale but my gf rolls were delicious! Two orders of filet mignon were ok and the two orders of the gf lamb parpadelle were just ok, very bland.